We love soft and chewy cookies that can be adapted for any holiday. We have the secret ingredient to a puffy cookie. 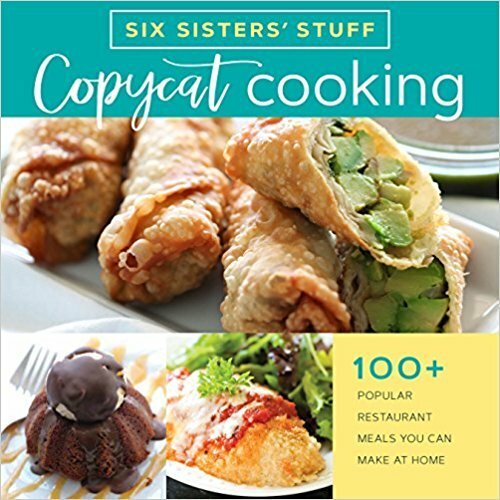 And this recipe is so easy because it calls for a Devil's food cake mix. The family devoured them and asked for more. 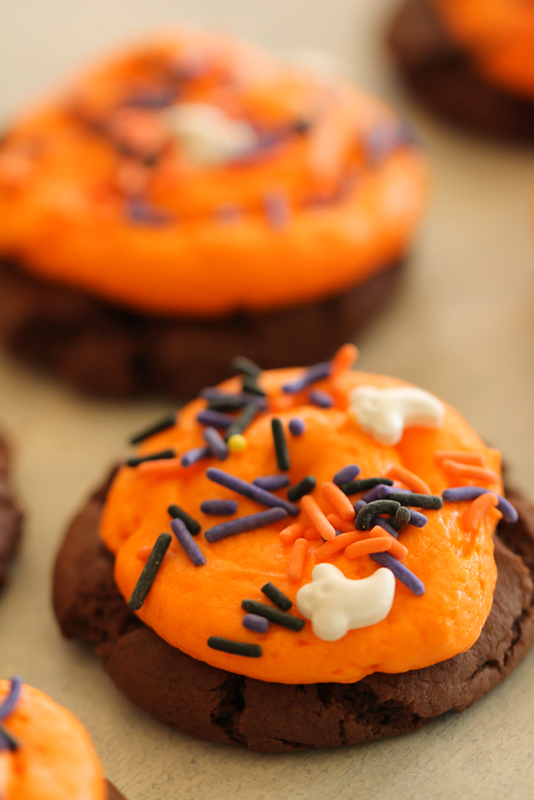 We love our Homemade Oreo Cookies and added a fun Halloween twist with colorful orange frosting and Halloween sprinkles. 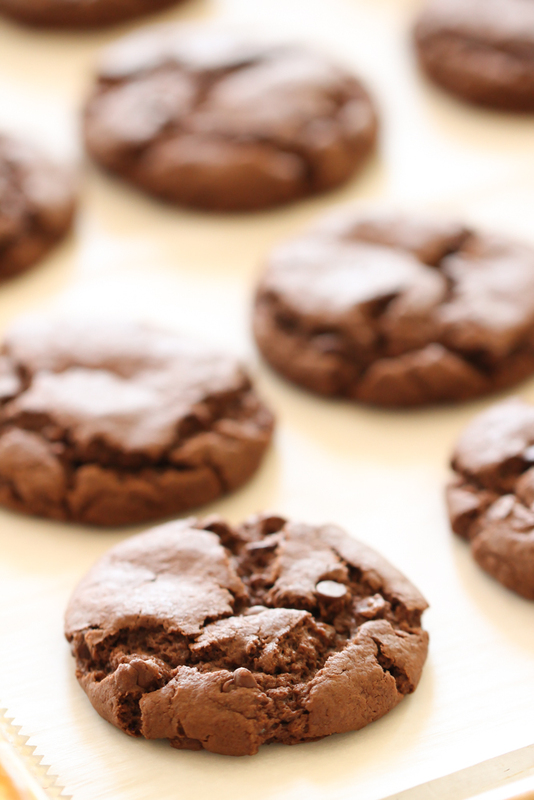 We added mini chocolate chips to these Double Chocolate Cake Cookies for a burst of chocolate. Did we tell you about the secret ingredient for a puffy cookie? Baking Powder gives these double chocolate cake cookies an extra lift that makes them so soft and chewy. No flat cookies going on here! 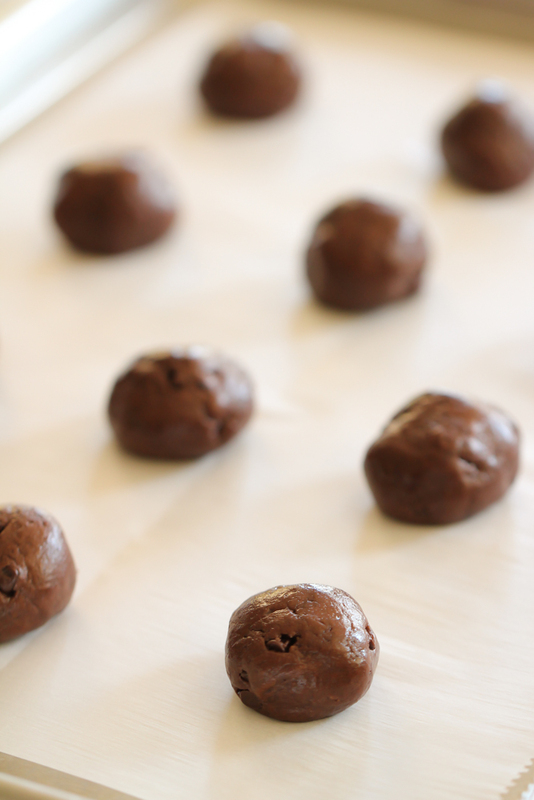 These cookies are so simple to make because they use a Devil’s food cake mix. We used a Betty Crocker cake mix, but any brand should work fine with these double chocolate cake cookies. They are fudgy like a brownie and soft like a cookie. do you need to line the pan with parchment paper? Once you get used to lining your cookie sheets with parchment paper, you may never go back. It’s not necessary, but is SO helpful when baking. Here are some of the reasons why we love using parchment paper. Clean up is so easy – no more messy greasy cookie sheets after using parchment paper. Just lift the paper off of the cookie sheet when done baking and throw it in the garbage. Parchment paper is moisture resistant and grease resistant. Your baking sheets stay shiny and new – it can lengthen the life on your nice cookie sheets. Cookie sheets also do better when washed by hand instead of in a dishwasher. No sticking to the pan – whatever you are baking will easily come off of your pan. No more sticking and it’s wonderful. Easy removal – you can easily lift brownie or cake from a pan by gently pulling up on the edge of the parchment paper. Your cooked dessert will not fall apart from trying to dig it out. Just gently pull up on the parchment paper that is hanging over the edge. It’s so handy. Cake mix cookies often get a bad rap. We do like a good home cooked cookie from scratch with good old home cooking ingredients. But you’ll be surprised how some cake mix cookies are so amazing with a few add ins. Our double chocolate cake cookies are amazing and taste as good as any cookie from scratch. We add in some vanilla extract and the baking powder gives them an amazing lift. You will be pleasantly surprised on the delicious chocolate taste. 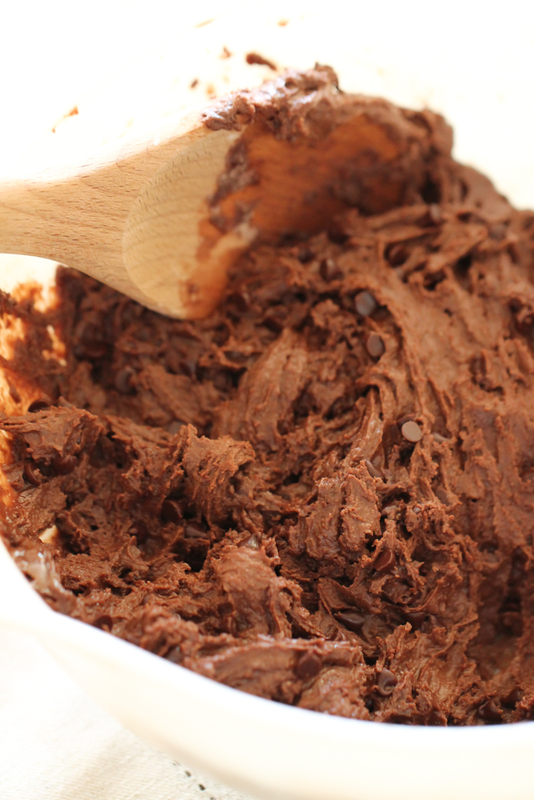 Only a few ingredients need to make double chocolate cake cookies. They are simple baking ingredients that we usually have on hand. In a large bowl combine the cake mix, eggs, vegetable oil, vanilla, and baking powder. Stir until combined. Then fold in the chocolate chips. The batter will be thick and kind of sticky. Chill in the fridge for about 30 minutes. Then remove from the fridge and roll into 1 1/4 inch balls. Place on a cookie sheet covered in parchment paper. Place in an oven heated to 350 degrees and bake for about 10 minutes. Remove from cookie sheet and let cool completely. While the cookies are cooling make the frosting. You can frost the cookies with a knife or pipe the frosting on with a decorating bag. Then add holiday sprinkles on top. These cookies can be easily stored in an airtight container for a few days. Store the container in the fridge. These cookies can easily be frozen and enjoyed at a later date. Then thaw and serve. After being frozen and then thawed, the cookies will still be soft and chewy. 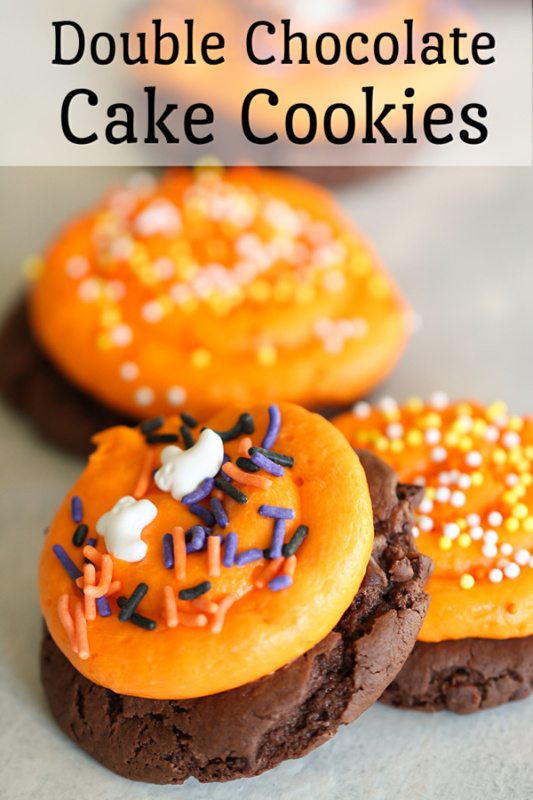 Cake mix cookies are so easy to make and taste delicious! 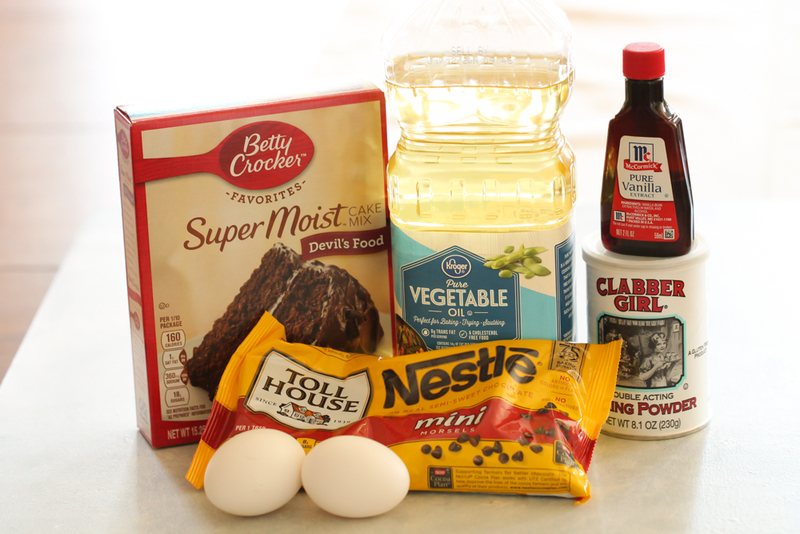 In a large bowl combine the cake mix, eggs, vegetable oil, vanilla, and baking powder together. Chill dough for about 30 minutes so it will be easier to roll into balls, and so the cookies don't flatten out as much when cooking. After chilling, roll into ball and place on a cookie sheet covered in parchment paper or a silpat. Remove from cookie sheet and let cool completely. Beat all of the frosting ingredients together until smooth and creamy. If the frosting is too runny, add a little more powdered sugar. If it's too thick add a little more milk. Spread frosting onto the cooled cookies or you can pipe on the frosting with a decorating bag. Watch how to make these delicious cake mix Andes Mint Cookies.